Employers setting up a health plan need consider both the type of health plan to offer, and how the health plan will be structured. There are two common ways to structure a group health insurance plan: fully insured and self-insured (or self-funded). So, what's the difference between a fully-insured and self-insured health plan? The company pays a premium to the insurance carrier. The premium rates are fixed for a year, based on the number of employees enrolled in the plan each month. The monthly premium only changes during the year if the number of enrolled employees in the plan changes. The insurance carrier collects the premiums and pays the health care claims based on the coverage benefits outlined in the policy purchased. The covered persons (eg: employees and dependents) are responsible to pay any deductible amounts or co-payments required for covered services under the policy. 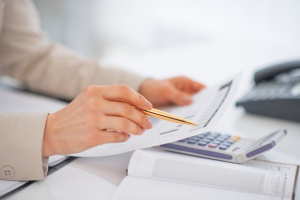 There are two main costs to consider: fixed costs and variable costs. The fixed costs include administrative fees, any stop-loss premiums, and any other set fees charged per employee. These costs are billed monthly by the TPA or carrier, and are charged based on plan enrollment. The variable costs include payment of health care claims. These costs vary from month to month based on health care use by covered persons (eg: employees and dependents). To limit risk, some employers use stop-loss or excess-loss insurance which reimburses the employer for claims that exceed a predetermined level. This coverage can be purchased to cover catastrophic claims on one covered person (specific coverage) or to cover claims that significantly exceed the expected level for the group of covered persons (aggregate coverage). Looking to provide comprehensive health benefits at a price you set? Learn how with our free Comprehensive Guide to the Small Business HRA. A Partially Self-Insured Health Plan, with an Integrated HRA. One variation of a partially self-insured health plan is to raise the deductible on the group health insurance plan and self-insure the difference with an integrated Health Reimbursement Arrangement (HRA). For example, the company increases the deductible from $500 to $5,000. The company uses an HRA to reimburse employees for up to $4,500 (the difference in the deductible). Using the HRA in this way, the employer is self-insuring the $4,500 additional deductible and seeing costs savings because most employees won't reach their $5,000 deductible. A Self-Insured Reimbursement Plan: Another variation is a self-insured reimbursement plan, such as a Small Business Healthcare Reimbursement Arrangement (HRA). Many employers (usually smaller and mid-sized) set up a Small Business HRA to reimburse employees both for individual health insurance premiums and qualified medical expenses - instead of offering a group health plan or an Integrated HRA. A Small Business HRA is not health insurance; rather, it is a way to contribute toward an employee's health insurance and medical costs without administering a traditional, one-size-fits-all group policy. Editor's Note: This post was originally published in February 2014. What questions do you have about fully-insured vs. self-insured or self-funded health plans? What other variations are you seeing? Leave a comment below. Looking to give the best small business health benefits? Check out the qualified small employer health reimbursement arrangement (QSEHRA).